Hole is slightly recessed on the underside (refer to the photo below). 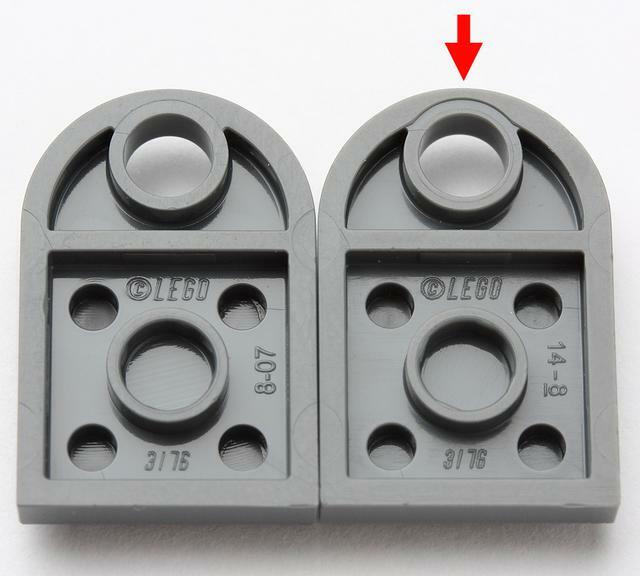 Click on a colored part below to see the Sets and MOCs that use part 3176 Plate Special 3 x 2 with Hole in that color. You can find an overview of all LEGO Colors here.